The Gjermundbu-Helmet has been discovered in 1943 during excavations of a Viking buriel mound. It has been reconstructed expertly and is nowadays displayed in the Museum of National Antiquities (Oldsaksamlinga) in Oslo. 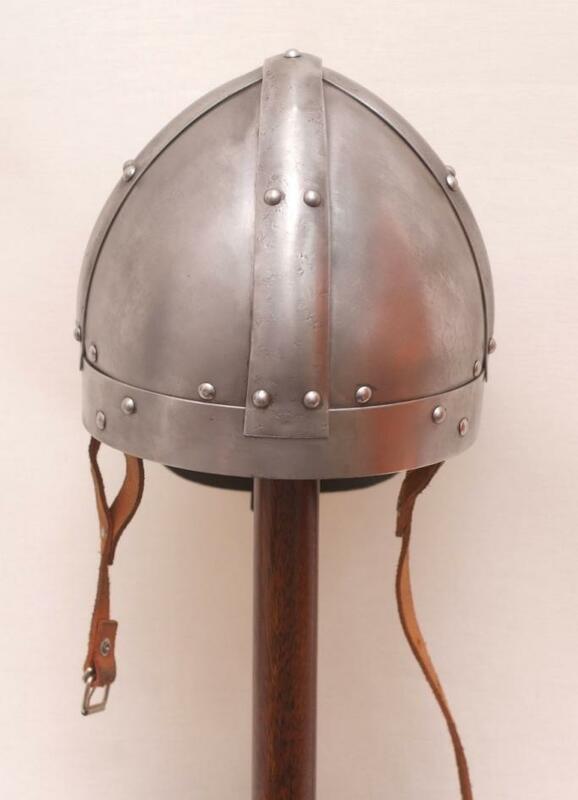 By now there are several reproductions of the Gjermundbu-helmet on the market, but only few are this close to the original and offer such a good protection like this replica made by Avalon Armour. 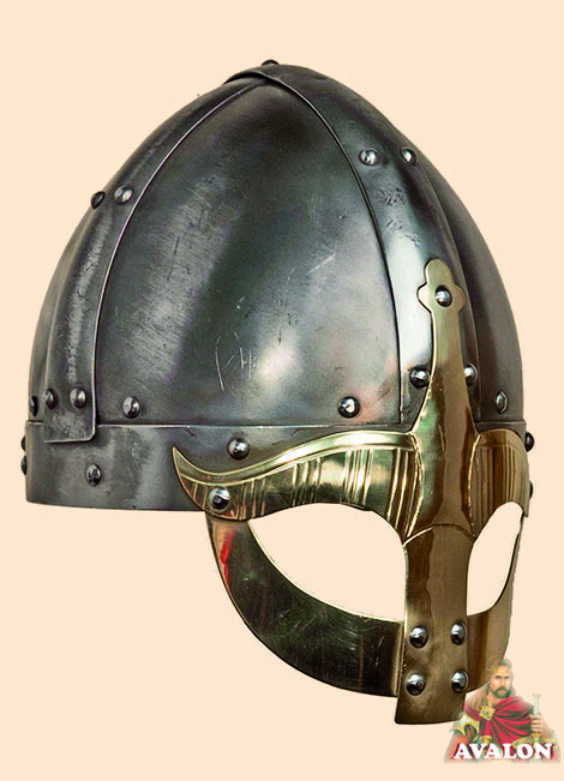 It is a typical example of a Viking spectical helmet, which offers the carrier a good face protection while keeping a sufficient sight field. The Viking Gjermundbu-Helmet and is so named for the eyepieces in brass formed integrally with the nasal. The helmets were usually worn with a coif and a chain coif.